Several GPS solutions have been produced so far by the ULR analysis centre consortium as new analyses strategies were devised (models, parameterization,...). The latest solution is called ULR5. Its vertical velocity field is published in Global and Planetary Change. 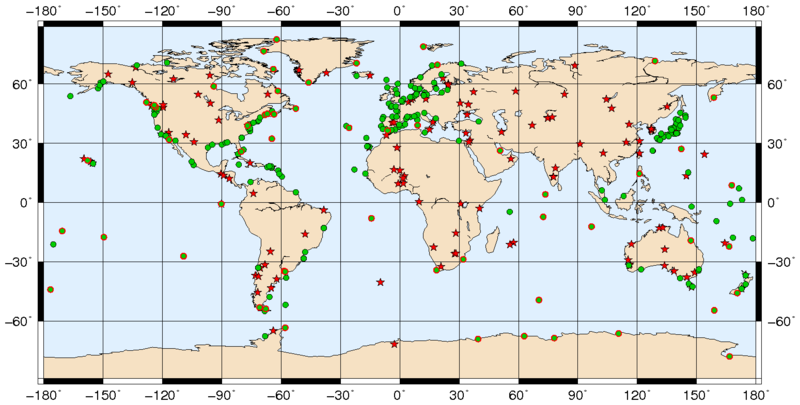 It is expressed in ITRF2008 using 16 years of GPS data. A. Santamaria-Gomez, M. Gravelle, X. Collilieux, M. Guichard, B. Martin Miguez, P. Tiphaneau, G. Wöppelmann (2012): Mitigating the effects of vertical land motion in tide gauge records using a state-of-the-art GPS velocity field. 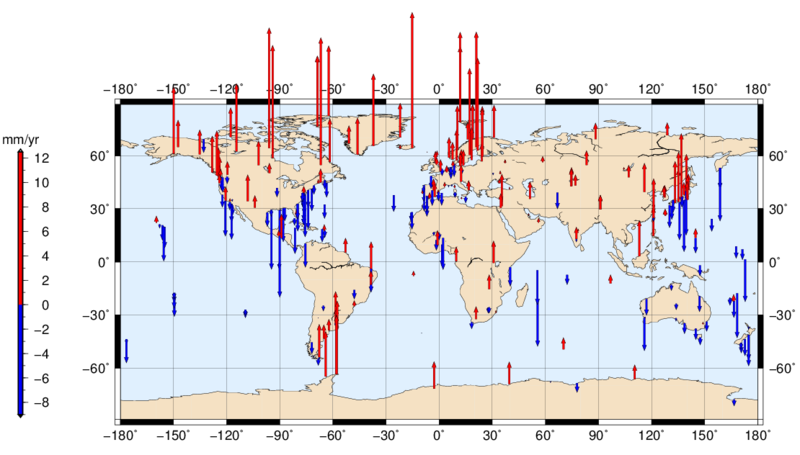 Global and Planetary Change, Vol. 98-99, pp. 6-17. The ULR5_Vertcal_Velocites.kmz file shows a Google Earth presentation of the ULR5 vertical velocities. For each GPS station a vertical cylinder whose height is proportionnal to the estimated velocity is drawn ( yellow for subsidence, red for uplift).